Multiplexers enable multi-transceiver stations to share a single multi-band antenna. Just connect two or more transceivers (through external band pass filters) to one of these transmit multiplexers, connect a SINGLE multi-band antenna capable of your desired bands, and operate multiple transceivers simultaneously on the same antenna and coax cable! Multiplexers are available in specific Amateur band coverages that handle 200 watts, 500 watts or 1,500 watts ICAS and above, depending on model. 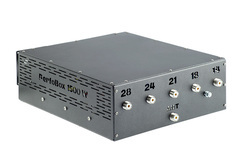 Transmit multiplexers are great for Field Day, contesting and multi-op DXing. Use them anytime you need to operate multiple rigs on one multi-band antenna! Insertion loss is negligible; typically less than 0.2 dB in band! IMPORTANT: HF Multiplexers, by themselves, cannot provide the necessary isolation. Each transceiver must also be connected through a transmit bandpass filter for the proper band. The nature of a complete system of band pass filters and the multiplexer device is to isolate your transceivers and keep them from interfering with each other. They also reduce out of band noise, thereby improving each transceiver's noise floor. Check out Low Band Systems HF Transmit Band Pass Filters. Low Band Systems filters are the first choice of major multi-multi contest stations around the world! 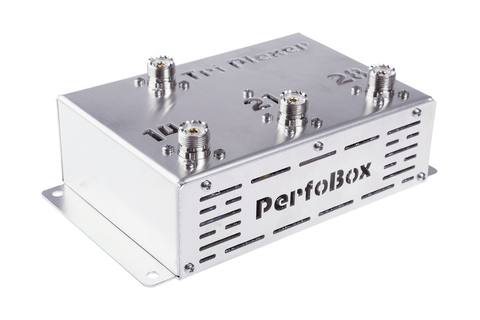 They provide the clear benefit of a dramatically lower noise floor for enhanced single-band weak signal reception desired for elite contest, DX pedition and Field Day operations.